As the rest of the Canadian housing market continues to struggle, Montreal is seeing some of its strongest housing activity in years. And, according to a new report from Scotiabank senior economists Marc Desormeaux and Adrienne Warren, that includes the highest level of home construction in over 20 years. “Strong housing demand has boosted the pace of new construction to its highest level in at least two decades, led by purpose-built rentals and condominiums,” write the pair. There were almost 25,000 housing starts in Montreal last year, the highest annual tally since 2005. The demand for housing has been bolstered by strong job creation and increased immigration in the last two years. Overall sales this year are on track to surpass 2007’s record high, while average prices are predicted to continue to climb. Home prices have also reached record highs, as listings consistently fallen below the level of demand. 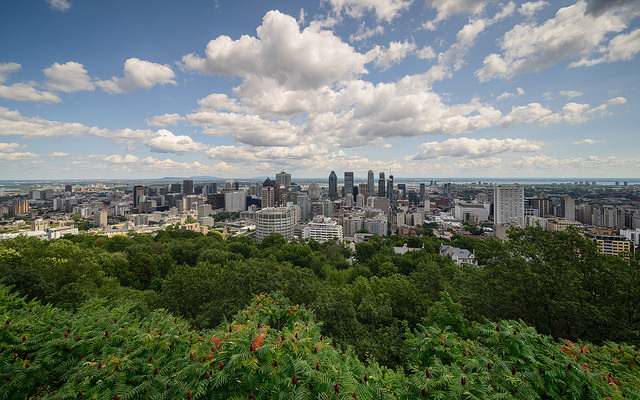 The MLS benchmark house price for Greater Montreal rose 6.3 per cent year-over-year in April, the fastest appreciation since 2011.